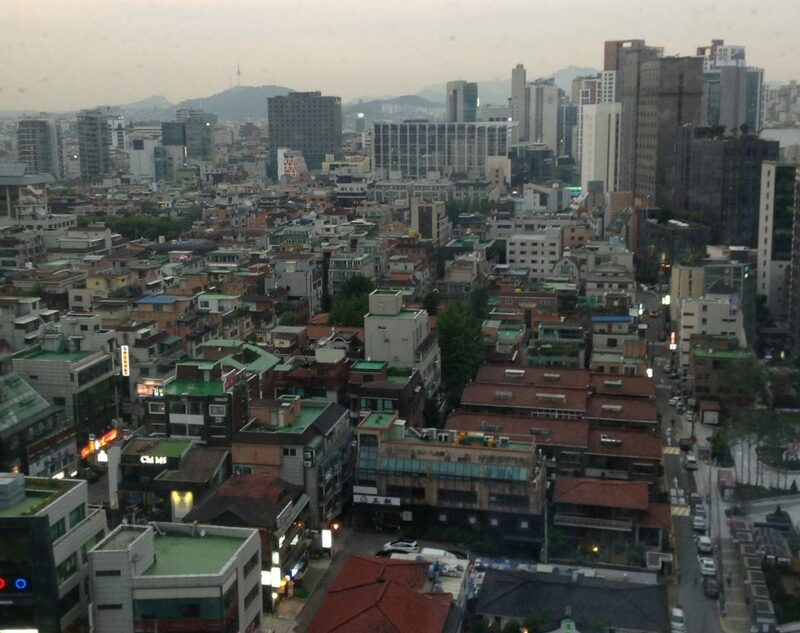 So as many of you know, I’ll be back in the city of Seoul later this year. So now it’s time for me to get ready to head back and get some essentials for my trip. If you’ve followed me for a while, you know that I believe in having a good, quality phone when traveling to another country. For many, their phone is their GPS, interpreter, plane ticket, credit card and more, all in one simple package. But what phone should you get. And most of all, will your phone even work for you in another country? With phones costing up to $1500.00 US, the last thing you want to do is to buy a phone and not be able to use it. (Which is exactly what happened to me the first time I went to Korea.) So what should you do when picking out a phone for a trip abroad? What should you look for? Here is my guide of what I look for in a new phone, so that I can use it both at home and away. This may seem strange to some, but you really should have your cell phone unlocked. What does that mean? When I say your phone should be unlocked, I don’t mean that you should take off any passcodes or other security measures that can prevent someone from accessing your information if your phone is lost or stolen. An unlocked phone means that your phone does not have a lock on it when it comes to using another company’s sim card. In the US, many phones have this lock and you will either have to wait a certain time period, sometimes up to a year, for your carrier to unlock it. Or you have to pay money for the unlock code and follow instructions to unlock your phone. By unlocking your phone, you can put in a sim card from a local company and possibly take advantage of cheaper calling rates and faster internet speeds than you would with your current carrier at home. My suggestion would be to look at buying your phone outright from the phone manufacture unlocked if possible. While this will cost you more upfront, people in the US can sometimes save up $30 or more on their phone bill each month by not paying off their phone as part of their bill. Admittedly, this is becoming less and less of a concern when buying a new phone. But for many who are looking at getting a used phone or refurbished phone, this may be an issue. Phone carriers used to sell multiple versions of the same phone. There would be a model for the US, for Europe, China, East Asia, India and so forth. The reason for these different models was due to different radio frequencies or LTE bands that were used in these different countries. Finally, many phone makers decided to put as many of the frequency bands in their phones as possible. Still, you will want to check what bands are used where to make sure your phone will work for you wherever your travels take you. Having a phone with plenty of memory is a must when traveling abroad. The last thing you want is to not get the perfect pic, miss out on an app that will make traveling easier or on a cool new game that help you kill time on the plane because you are running low on memory. As systems and apps update, many require more room to properly run. While a phone with a memory card is nice, you still need plenty of room on the phone itself. Often times it is worth it to pay a little more and have the memory you need, than to buy the same phone twice due to a lack of memory. As someone who travels ever few month, nothing is worse than using your phone as a GPS and then having your battery almost die when you need to pull up your boarding pass, or other information, quickly. The amount of time you get from your battery will depend on how you use your phone. You will need to decide what is more important to you when it comes to your phone’s performance. Some phones that have a long battery life do not charge very quickly. And some that charge really fast do not have a battery that last a long time for many people. You will need to decide what you value most, as well as what accessories you may be able to get that will make your phone last or charge better. With all of that being said, there is a lot to consider when buying a phone that you will take abroad with you. There are more options than ever, and you the consumer have more control than ever. One site I recommend to check out is https://willmyphonework.net/. (They are not, nor have they ever been a sponsor of anything I do.) They have a database different phone models, as well as what frequencies are used by different companies in different countries. This may give you the chance to see if your phone will get proper data with the phone company you are looking to use when traveling. You can see a video of me using the site below. I hope these suggestions help you in deciding what phone you want to buy, and that you are happy with your purchase.